Jenny Lovell, at 01622 630631, e.mail: jennifer.lovell2@btinternet.com. Wednesdays from 9.15am to 10am. Suitable for any fitness. £4 per session. 3.45pm Mondays at Detling Village Hall.Footy for Tots provides football sessions for children aged 18 months – 4 years old. We provide a fun and safe environment for children to begin their love for football while developing key movement and social skills along the way. We run sessions for 3 different age groups (Tiny Boots, Little Boots & Big Boots), this allows your child to get the best possible experience while having lots of fun with friends of a similar age. Our sessions are themed every week with a new theme every Term. Your child will enjoy using their imagination throughout the weeks and experiencing the joys of being a pirate, their favorite superhero and many more! We currently run sessions in Bearsted, Detling & Sutton Valence. £5 per session, 1st session free! Our primary aim at Footy for Tots is to make sure that every child that attends our sessions have lots of fun! Detling Village Hall at 1pm on Saturdays. Activity classes for toddlers (aged 2-5yrs) using children’s balance bikes. The classes are structured activity sessions with close guidance and direction given from coaches using small bikes with no pedal system so children are able to walk using them and maintain control. THANK YOU FOR OUR LOVELY WELCOME!! and they are loving every moment of being with you and your babies! The lovely Shanice is now in training to become a fully qualified Baby Sensory class leader, and Nicola and Anita will be helping her at every step through her early days. In a Baby Sensory Classs leaders first year we learn 50 different lesson plans, read every day learning about baby development and the latest research, clean, clean and clean some more, go on an official Head Office 2 day training course, and undertake around 30 days of on the job training and mentoring all to become a Baby Development expert just for you! 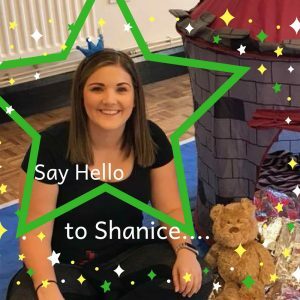 So you can see why Shanice loves every moment she is getting to spend with you all, your precious babies are part of her weekly evolution in to a class leader extraordinaire! (it’s our local anniversary this September). If you LOVE what we do then please share your experience on our Facebook pages and Netmums listings. New reviews really help us to reach and teach new bubbas. where you can rate and review our classes. Your recommendation is the best kid of publicity we could hope for, so thank you! We’ve won lots of awards in the past 7 years but your reviews are what count the most!!! the Regional Co-Ordinator at renee.micklefield@babysensory.co.uk. For all ages and abilities. Move to music and rhythms and use apparatus to enhance the movement. Medau is the all body fitness class that any age or ability can do and stay fit for life. No barriers to learning and achieving your personal goals. Commencing 5th September, every Monday from 10.30 – 12 a.m. First class free so come and try it. Will then be £7 per class followed by payment for short courses. Look Medau up on the internet or just come along and see what you think. Fully qualified instructor with 16 years experience. Just bring some water and a mat or towel for floor work. For more information contact Sue Tapp, Home: 01795 410525, M: 07731777114. I look forward to seeing you. Our aim here at Kidz Kung Fu Academy is not only to teach children self-defence but also to increase their confidence, self-esteem, focus andconcentration. Through the discipline of Kung Fu training we start them on a Journey of Self Control, respect and improved attitude. Why let the kidz have all the fun? If you’re looking to learn self defence, keep fit and have fun….why not try our adult only classes? Hi I’m Sifu Lorraine. The reason I became involved in teaching children’s Kung Fu was that I could see what a fantastic difference it can make to a child’s life. Whether it be giving a child a much needed confidence boost or to help calm a child down –martial arts is a great way to see a dramatic and very quick turn around in behaviour patterns. I’ve had years of experience working with children as an out of school Supervisor at Linden Lea and Pennies nursery. I have 1st hand knowledge of dealing with children that have certain learning difficulties and behaviour disorders….ADHD, ASD, Autism to name a few. I’ve been instructing Kung Fu now for 5 years with both children & adults however my passion lies with the children!!! I have a natural affinity with children (I’ve never really grown up myself !!) and the opportunity to make a positive impact in children’s lives is what has driven me to start KIDZ KUNG FU ACADEMY alongside Si Je Kim….Its going to be a very exciting 2013!!!! Hi I’m Si Je Kim and am very excited about starting up the all new Kidz Kung Fu Academy alongside Sifu Lorraine. My Martial arts journey started when I was 6 years old. I started teaching children at the age of 21 and did so for 9 years until I started my family. I became involved with Kung Fu 2 years ago when my children Albie & Alivia started classes. I began assisting Sifu Lorraine and gradually became involved more & more. I am a registered Childminder and love working with children. I have worked with many children with learning difficulties and have undergone a course in child psychology to help me understand how to work better with children. Toddler Sense is a multi-award winning activity programme, which introduces children aged 13 months to 5 years-old, to a whole new world of adventure after Baby Sensory. The activities are designed to keep toddlers and children busy, active, and stimulated by offering them a magical, multi-adventure experience in a safe and happy environment. to develop an understanding of the world in a fun and energetic way. What makes Toddler Sense Special? Each week introduces fresh new ideas and an action-packed adventure. There is always something new and exciting to look forward to. After each session, everyone buzzes with energy and enthusiasm having had a huge amount of fun. The end result is a great sense of well-being and achievement! New Explorers: As toddlers grow and become more independent, they have a natural curiosity and appetite to explore. Toddler Sense gently introduces toddlers to equipment and activities that are suitable for their age and stage of development. Adventurers: Early adventures are an important part of a child’s journey of discovery, helping them to learn about themselves and the world around them. Toddler Sense offers a whole new world of adventure and challenge that lead learning and development forwards, and motivate children to try out new skills. Rangers (subject to availability): The preschool years are a magical time of learning and development. Children become more imaginative and independent as they broaden their skills through play, fantasy, and exploration. They also become more sociable as they engage, participate and cooperate with their peers and with other people. Class Leaders undergo rigorous training to deliver a high-quality service and to value each child as a unique individual. Exploratory Play Time: a great way of settling the children, letting them burn off energy and encouraging catch-up time between mums and dads. Mat Time: Toddlers like the familiarity of our ‘How Do You Do? Song, which is followed by 20-30 minutes of activities and music, rhythm sticks, parachutes, giant air balls and action songs. Time for Adventure: We’re off again, entertaining a place rich in sensory stimulation and wonder. Each week you will find yourself transported to whole new worlds, and no two sessions are ever the same. Finally, it’s back to the mats for our ‘Say Goodbye’song. Toddlers learn best when given the freedom to explore things for themselves. Each week is themed with specific activities that create a range of exciting adventures. Every week we produce a vast array of exciting, stimulating materials and equipment, many of them unique to the Toddler Sense programme. Classes include a wealth of soft play equipment, inflatable fun, gym equipment and lots more. The set-up is different each week. You need to see it to believe it! 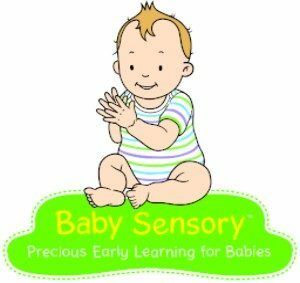 Toddler Sense was founded by Dr. Lin Day, who is also the creator and founder of multi-award winning Baby Sensory. Dr Lin Day is a renowned expert and published author within the fields of sensory and childhood development. Toddler Sense brings together sensory play, movement, and a repertoire of exciting, upbeat classical and cultural music as well as jazz, pop, rock, rhythmic sounds, and dance from different world cultures. All of the senses will be stimulated by the carnival-style activities such as the Conga crocodile, colourful ribbons, pom-poms and scarves, parachutes, bubbles plus lots more! Can you imagine climbing a snow mountain, going on safari, walking the pirate plank, taming a fiery dragon, or catching a shooting star? Children with sensory impairments will naturally respond to the light shows, the adventure tunnels, and the specially designed soft play equipment. When toddlers or children join Toddler Sense, the only requirement is for them is to bring their natural enthusiasm and energy, and get ready to have a great time! BEARSTED & DISTRICT U3A are an organisation where retired or semi-retired people from all walks of life and all ages meet like-minded men and women to expand their knowledge, share interests and acquire skills and experiences. Visitors and new members are assured of a warm welcome at their monthly meetings. Joining them is probably the best way to make new friends. They have over 25 interest groups, monthly meetings with a speaker, leisure and educational visits, regular social events and benefits from the Third Age Trust that they are part of. ALL THIS FOR JUST £20 A YEAR. At 2:00 p.m. on the second Thursday of each month in Detling Village Hall, Pilgrim’s Way, Detling, Kent, ME14 3EY.We have booked some interesting speakers for our monthly meetings. Scroll down this page to find full details of all Meetings and Social events. Detling W.I. is a friendly and active institute with around 35 members and meets at 7.45pm on the 3rd Wednesday of the month (not August) in Detling Village Hall. Each meeting has a Trading Stall, Teas, Raffle and Competition Table. During the course of the year we go on a variety of outings. New members and guests are always welcome to join us. A friendly and energetic community theatre group based in the village of Detling, Near Maidstone, Kent, England. Our regular programme includes an outdoor Shakespeare production every two years and a “family” show in Detling Village Hall around Christmas time each year. In addition, we present a wide range of plays – comedies, murder mysteries and serious dramas. We are a small friendly club that welcomes all breeds to our training sessions. Each week we have a different trainer to help you to get the best from your dog in the show ring. It is also a good environment to socialise your puppy. We hold monthly matches on the last Friday of each month ( a list of match nights is published on the Match Results Menu) and the winner of each class qualifies for our Dog of the Year contest. So please come along for a friendly relaxing evening, and with some luck your efforts will be rewarded in the show ring. Our classes start at 8 pm every Friday, with training for puppies under six months of age, followed at 8.45 with normal training for all dogs. We now hold and additional training evening on the FIRST WEDNESDAY of each month. Spangles has been successfully running Spanish courses for children aged from 3 to 16 years in Kent since 2005. The courses are all about making learning fun. Set in a lively environment children sing, dance, talk and play all in Spanish.At Spangles, children learn Spanish through games, movement, colourful visual aids, music and practical conversation, with classes available for 3-4, 5-8, 9-11 and 12-18 years. Each child is awarded a vocabulary picture-sheet at the end of each lesson and everyone can access the interactive games on this website to assist with learning. All lessons are taught by enthusiastic fully qualified native speaking Spanish teachers with years of experience teaching the language at all levels. January (winter), April (spring) and September (autumn). Class sizes are limited and places will be allocated on a first come first served basis. Your child will achieve skills that can be used either academically or sociable as well as raising their aspirations later on in life by preparing them to be more competitive in terms of work opportunities in a Global Market where languages play an important role in the decision making of tomorrow’s leaders. We’re a small, sociable group of uke enthusiasts who meet up once a month for a friendly laid-back jam session. We have a good mix of more experienced musicians to absolute novices who have learnt their very first chords with us. Even if you don’t have your own uke, come along and we’ll lend you one to have a go. We always welcome new members, so feel free to join us on the 2nd Wednesday of the month at 7:30pm. The coastal division of the London & Home Counties Boxer Club caters for boxer owners in and around Kent. We hold monthly meets in Detling on the first Sunday of each month, starting with training at 2.30pm. Our rallies are friendly and fun, and new members are always welcome!